Prominent & Leading Manufacturer from Coimbatore, we offer compact speed vector drives. We are one of the prominent manufacturers and suppliers of Compact Speed Vector Drives. It is made under rigid norms of quality that are in agreement with global quality standards and can be availed for AC drive series for sensor less vector and closed-loop vector. With precision position and vector control attributes, these vector servo drives are widely demanded. This vector drive is developed using best grade quality material and sophisticated technology with the help of skilled professionals. 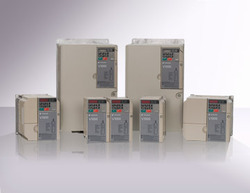 Looking for Compact Speed Vector Drives ?